We are often told that it is “all about change”, particularly when it comes to technology and how media is delivered to us these days. Indeed, much is about change, such as how emerging markets can go from low to high media consumption by leapfrogging other forms of media, by going straight to mobile and social media platforms. But we know that mainstream media, or ‘traditional’ media in the form of TV and print, is still holding up. In a March 2017 survey conducted by BDRC Asia among around 1,500 news consumers across Asia, we established that, while online news consumption was universal (when combining all online sources), the leading single platform for news consumption across all the markets surveyed (Australia, Singapore, Malaysia, Hong Kong, and India) is still TV, with 85% reach across these markets. TV news is also consumed with as much frequency as other platforms at an average of 5.3 times a week, similar to social media but actually more frequent than other online platforms, e.g. news websites, news apps, etc. We also found that print media is still referred to by 45% of news consumers, with a frequency of 4.8 times a week. The importance of print media was identified via research in the UK published in February 2017 by Neil Thurman, in his paper ‘“Newspaper consumption in the mobile age” – re-assessing multi-platform performance and market share using “time-spent”’. This study found that 88.5% of UK news readership is through print, only 7.5% on mobile, and the remainder of just 4.0% on PCs. Not only is more time spent on print, but there is usually more engagement. Readership time of online content can be measured in seconds, whereas it is measured in minutes for offline. Online has considerably more interruptions, such as pop-ups, links, and visual distractions, making online advertising and published content less effective. We gathered over 90 video clips of news consumers across the region who voiced their thoughts and feelings about this simple but highly important question to news broadcasters and channel owners. The results from our BDRC Vision™ research fell into four main themes: factors that 1) help to better inform the news consumer, 2) provide a more enjoyable experience to the consumer, 3) provide convenience or habit, and 4) express concerns about or disadvantages of online news as the alternative to TV. The video clips from the online survey allowed us to deep-dive into each of the four factors. What makes TV more informative is that the visuals of the TV news provide proof and evidence, and the reporters provide opinion. 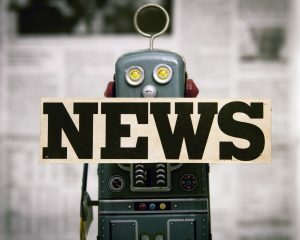 While online news also provides visuals and opinion, consumers have established a connection with the newsreaders whom they see regularly on TV and who have almost become the brand ambassadors of these channels. The news channels also do the searching and filtering of news for us; there can be too much news online, and the TV news filters out the unimportant stuff for us. We also forget the importance of linear TV in our lives. While we hear so much about video-on-demand and streaming services, we forget that people sometimes avoid making the effort to search for news. 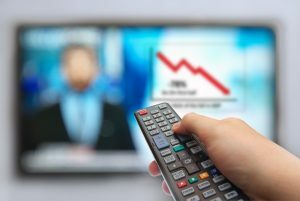 Linear TV, such as regular news programs, have become routines in our lives that we hang on to in order to bring some structure to our day. One of our BDRC Vision™ videos was of a lady in Australia who said that the first thing she does in the morning is switch on the TV to see the news, to catch up on what has happened around the world from the previous day. This is a routine that is ingrained in her daily schedule and she does not want to give it up. With many people sitting in front of PCs all day at work, at the end of the day they prefer to watch a TV screen instead of a computer screen, and hence will not give up TV. TV also gives the all-important ‘enhanced user experience’, with better sound and visual quality. TV news is a form of entertainment for some families, and is an opportunity to enjoy the company of their family. It is a better medium than online for multi-tasking, e.g. having dinner and watching the TV news at the same time. But in recent years, the rise of ‘fake news’ is driving more people to TV news. The respected TV news brands are seen as more reliable than the anonymous and often suspect news reporting seen online. We are often told that it is all about change, sometimes as a message to make us buy new products or services. When video recorders came out in the 1980s, people thought that it would be the end of cinema. Ironically, the VHS video died, and cinema lived on and has actually become even bigger. From 2011 to 2015, global box office revenues have increased by 17%; much of this growth has been driven within the Asia Pacific region, but even in the mature markets of North America box office revenue is up by 9%. Over the same period, the number of cinema screens has increased by 8% to 152,000 screens worldwide in 2015. Video gaming was a $109 billion industry in 2016. While mobile gaming is increasing the fastest, TV console gaming has increased by 3.6% in the last year to a 31% share of the gaming market. Again, it is the appeal of the ‘big screen’ for gaming, particularly with new 3D games and the development of virtual reality gaming, that is supporting TV. Media owners and buyers are sometimes obsessed with analytics based on click-through rates and online reach, but they could be missing a trick with mainstream media. This article was first published in the Q3 2017 edition of Asia Research Magazine.